Chinmaya Mission Tumkur was established in 1986. The land for the centre was donated by a devotee. The building, popularly known as 'Chinmaya Geeta Mandir' was inaugurated by Swami Tejomayananda in 1994. 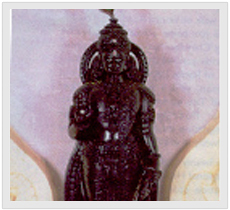 The Temple has the idol of Lord Krishna standing with a flute in one hand and the 'Chin Mudra' in the other. Yajnas and other activities are held regularly in the Mission Centre.